I stole this headline with due apologies to the author mentioned here. The book is ‘Doing Good or Doing Well’ and from the same book I drew the quote above. Ensign wrote to assess Japan’s foreign aid program. That was in the early 1990s. Ensign raised once again the question in diplomatic studies that draws a parallel between ‘doing good’ and ‘doing well’. ‘Doing Good’ is charity service or so-called selfless service where one renders assistance and walks away without waiting for any returns. ‘Doing Well’ is what China in relating with Africa aptly describes as ‘win’ ‘win’. In diplomacy of course, no country does ‘good’. All they do is ‘well’, because the doer is also a stakeholder and has an intention to benefit, at least in goodwill and friendship. I think we getting this right at the beginning would help our perception of the multilateral relationship between China and Africa, especially on the Forum on China Africa Cooperation (FOCAC) platform that is 18 years old now. In the late 80s and early 90s, the bell tolled for Japan in dispensing ‘goodies’ in her bid to announce her arrival at the world stage. READ ALSO: Why 2018 FOCAC Summit is important to Nigeria – Chinese govt. While Japan laboured to buy the goodwill she needed to make up for the deficit it acquired bullying neighbouring Asian nations before and during World War II, the moves became major issue of discourse on whether they meant well or were buying over other nations’ conscience. Before Japan arrived the scene, there were the Bretton Wood Institutes that came as offshoot of the war and owned by the superpower West nations. They predated the African states with the exception of few like Liberia, Ethiopia and Egypt. So when the rest of the African nations were given birth to, they stepped into the cesspit and trap already alive. The history and original name of the World Bank – International Bank for Reconstruction (of the WWII ruins) and later addendum – ‘Development’, (IBRD) tells the entire story. Because they predated the poor African countries and those of Asia that just struggled out of colonization, the Institutes flowed along with them bullying them without reprieve for as long as they wanted, and even now. In the late 80s after the owners of the institutes had got enough and made mince-meat of the African countries, they changed gears to pro-market or market economy, and decreed that whoever doesn’t jump on that train is doomed and would be crushed. That way, without considering if young states had what it takes to or not, we all got railroaded and have been suffocating in the wagon. Unfortunately, today, the West doesn’t mention those garbage loans they fed Africa with and the major issue is what China’s intentions in Africa are. Those African countries that were given birth to post market economy era like Zimbabwe, Angola, Namibia, Eritrea that has nothing, I mean nothing, were the stillbirths of the market economy who were born and immediately forced to start running without learning to sit, crawl or walk first. In those days and moves, the West was right and meant the whole world of good for Africa. I laughed the day Rex Tillerson as US Secretary of State came to some African countries and started inciting them to beware of China’s ‘goodies’ because they are toxic and meant to enslave them. Today, even if China hasn’t given Africa the world, it’s huge interest in Africa for whatever purpose has triggered some heckling and movements by the West that feels challenged. Maybe this would work out a wake-up for Africa herself, and possible positive competition from the West to be kind to Africa. It never happened until late August that the leaders of UK and Germany would visit African countries days apart. And there was an earlier visit by French president in early July. I asked myself, is this for real? Did Tillerson and the other US and European propagandists mean that well for Africa or they just fret that China might be intruding in their territory of the backward races they have plundered for ages and who themselves yield to plundering. So as the FOCAC Summit drew closer, the drumbeats of China enslaving Africa roared louder. It was the major international diplomatic issue of discourse in every media of repute globally and the reasons were known and mainly two. One is that Africa is the playground of the plunderer and whoever gets in there first makes sure every other interest is shut down and shut out. The West got here first and doesn’t brook any trespass, and China seems to be the one with clout and money to attempts trespass. Two, there is no other country of the world that aggregates such large pool of diplomatic friends under one roof every three years. FOCAC has 55 members, including China and of course the African Union, the only non-state party. So, it commands great influence that just one nation would sway the entire Africa in one fell swoop to Beijing. Of course the UN is owned and run by five major countries that make up the Security Council and some smaller affiliates, including China. So it’s not an exclusive preserve of the US. All these take away every doubt that by number, FOCAC is the largest stand-alone multilateral diplomatic body connecting two different and disparate worlds. The West and especially the US never spoke tongue in cheek over their phobia that China angles to wrest leadership, or better said, manipulation of the world from them and they are not ready to contain such daring incursion. Most times I try to avoid side talks about what China aims at by reaching out to Africa especially when the issue is raised by the West because when they talk about China and Africa in friendship, it is always scathing and comes with nothing good, not even one. Tillerson’s loud message was that Africa should be wary of China because they have brought debt trap and clandestinely target to enslave Africa with a load of debt they can’t ever repay and thereby making them subservient to the creditor country from Asia and taking their natural resources in ransom and collateral. 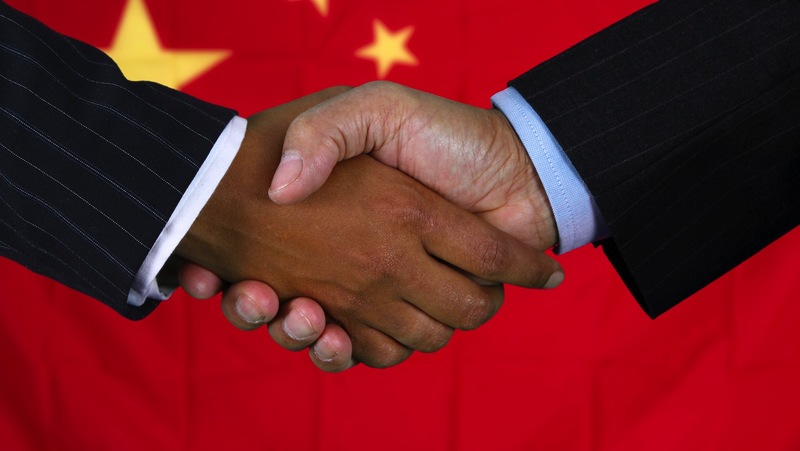 At least since the 2015 FOCAC in Johannesburg, China had pursued funding of African nations in loans and grants and trickles of assistance through two major financial platforms – the China EXIM Bank and the China Development Bank that is custodian of the China Africa Development Fund (CADFund) with capital base of $10b from an initial $5b. On July 31, 2016 which should have been a Sunday, I sat next to the Director General of the African Department of the China Foreign Ministry, Mr. Lin Songtian, now Chinese Ambassador to South Africa as he fielded questions from 28 African journalists at the lobby of the Kempinsky Hotel, Suzhou, Jiangsu Province of south east China. That was after the tour of the Suzhou Industrial Park. China had taken the team of African leaders that visited Beijing for the evaluation meeting of the Johannesburg FOCAC the year earlier. After the two days event, they took the African leaders to the park as a way of inspiring them to work out their projects and develop, emulating China. Among the things Amb. Lin said were two major points – that China has no free money to give Africa because the money all come from private banks that raise fund as businesspeople and try investing in Africa for their gain and also for that of Africa.